When I got involved in the project, Proyecto Washu had already gone through a long path of building trust with the community, search together with them for economic alternatives to increase their income and to protect the forest. 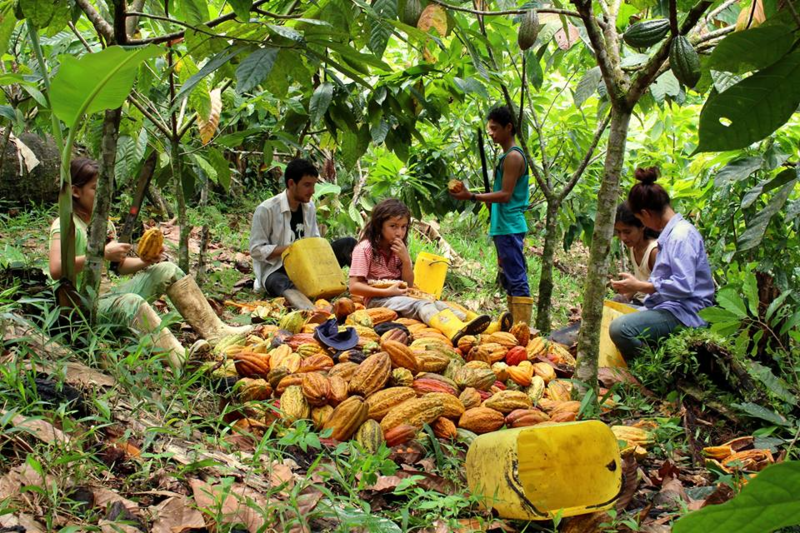 In this process, and with the help of experts, they came to the conclusion that the best alternative was to boost the production and commercialization Cacao Arriba, the main source of income in the area. To achieve this goal, and with the support of the University of Sussex, the NGO and 12 families of the community signed an agreement, in which the NGO committed to run workshops to improve the production of cacao and to find buyers that appreciated the quality of the cacao and the conservation efforts; in exchange, the families would commit not to expand their crops or cut down trees from the forest. My role then, was to promote the conservation of the forest and to be a communication bridge between the families, Proyecto Washu and potential cacao buyers. When I first arrived to Tesoro Escondido, I knew a lot about the forest and the threats it was facing, but did not even know how to recognize different varieties of cacao and even less about the process from the harvesting to the chocolate bar. So before I started talking about conservation, I dedicated myself to learn about the daily life of the families and about their cacao. Together with Felipe (the coordinator of the program) and Ulrike (the first potential buyer) we spent a week walking from farm to farm talking to the farmers, looking at the cacao crops, tasting cacao beans, checking the quality and analyzing the possibilities to start the organic certification process with some families. In these visits I learnt that there are two main varieties of cacao, CCN51 and Cacao Arriba or Cacao Nacional, the first is a hybrid variety created in 1970 which is known to be very productive but at the same time, needs lots of management based on agrochemicals, it is the type of cacao that turns into average chocolate bars by big manufacturers and is usually mixed with lots of sugar and milk. The second variety is native from Mesoamerica, it was used by indigenous people as a trading item or turned into a sacred drink; because is native from the area, it grows very well along with other species of trees and its productivity does not rely on agrochemicals; what makes this variety even more special is the different nuts of fruits flavors that characterize it, the final products are mostly high quality chocolate bars. In Tesoro Escondido families grow mainly the Cacao Arriba variety but did not know how special their cacao was, so they were selling their golden beans to intermediaries and getting very low profits from it. Basically, intermediaries in the cacao business do not care about the quality but about the quantity, so they mix all varieties of cacao, pay a very little amount to the farmers and re-sale it to big chocolate companies at a higher price. 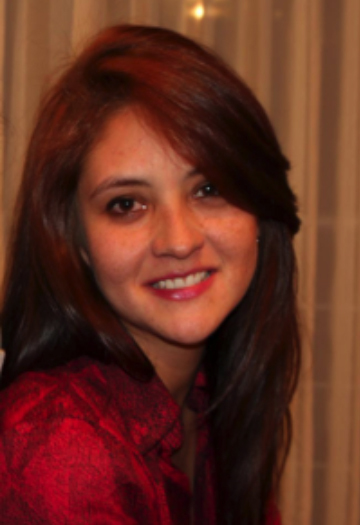 Sylvana Urbina is a Colombian biologist currently studying an MSc in Global Biodiversity Conservation in the University of Sussex, UK. She has worked in scientific research of neotropical primates, mitigation of environmental impact and sustainable community development. She is interested in the integration of scientific research, economic alternatives and education to promote conservation in Latin-America.